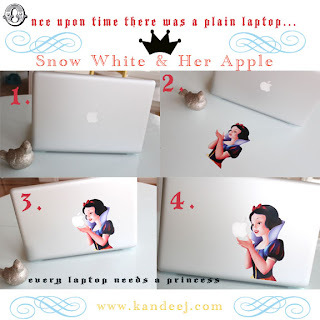 kandeej.com: Laptop Make-over: How to "pimp your mac"- Snow White Style! Laptop Make-over: How to "pimp your mac"- Snow White Style! And carefully placed her little "sticker" self onto boring old laptop, smoothed out all her bubbles..
And now she can love her apple...which is free of poison, but just a lot of files! I love Snow White. I love that someone came up with this brilliant idea of a Snow White Laptop Sticker! I got mine on etsy.com. And it was the best laptop make-over! Remember my snow white tutorial?! If you want one too, just search for "snow white laptop" on etsy! I love this!!! I ordered one a couple days ago from amazon for 8 bucks. 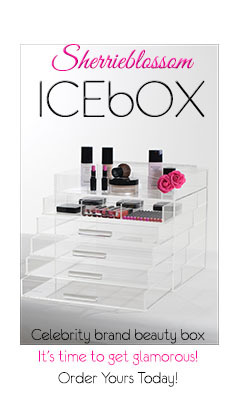 Can't wait till it gets here! She's so cute!